31 | August | 2015 | Health Promotion Ideas: Let's Get Healthy! What does community mean to you? For some, community is the place in which they live. This could be their neighborhood, their school district, their town, their region, or their country. 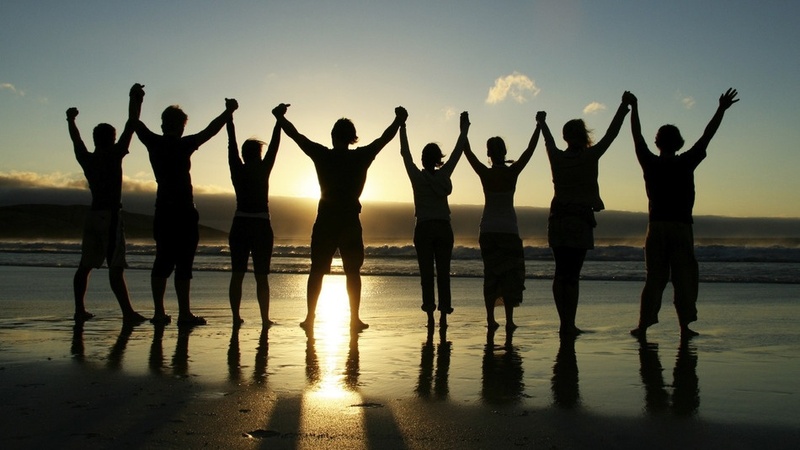 For others, community is the group in which they are a member. This could be in a family, in a school setting, in a work-place setting, such as a group, department, or organization. Some community memberships are chosen voluntarily, whereas some communities are assigned. For some people though, community is focused in a place of worship or at a club, based upon their interests. However, community can also mean the sense of belonging one has or is a part of. Whatever community means to each of us, it is often an affiliation that results from a choice or several choices that we have made. This means that it is usually modifiable. Life is flexible and adaptable to what we choose to make of it. Therefore, community is a relative term that differs for each of us. For some people, time is the one of the only factors that contributes to their community change. For others, there are other factors that have influenced their community, such as relocations, relationship or job changes, and life altering events. When we have community, we have a support network that we can ask for help. In today’s ever changing and fast-paced world, we could all use some help. Next time you need help, consider what you could do if you had more help from a membership that you are affiliated with. Then think of what you would do if you did not have the community memberships that you have. There are many others who would welcome you into their community and reciprocate your generosity and support. Promoting a stronger community provides added support for so many more people. We could all use some help some time, don’t you think? Who else could you offer support to?